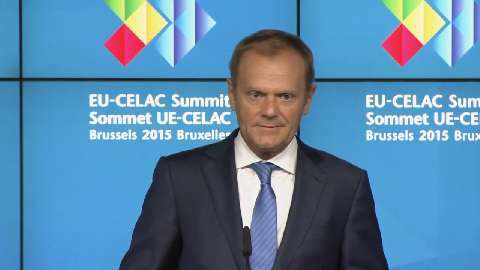 EU Council President Donald Tusk warned the UK that “the fundamental values of the EU are not for sale,” as the British Prime Minister is set to lay out his UK referendum plans during the June Council Summit in Brussels. On Monday, Eurozone leaders welcomed new Greek budget proposals and called them a 'positive step forward' towards finding an agreement with Athens that would unlock frozen aid and stop Greece from defaulting. 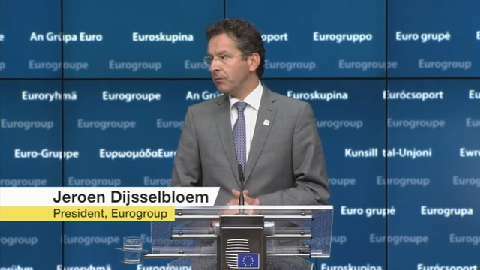 Speaking after a short meeting of eurozone finance ministers, Eurogroup president Jeroen Dijsselbloem said that the new proposals presented by the Greek government are seen as a “positive step' towards reaching an agreement with Athens. 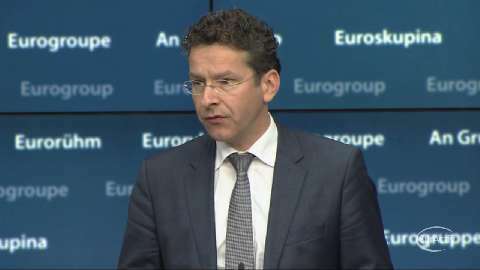 Eurozone finance ministers gathered on Monday in Brussels, ahead of the EU leaders' summit, for emergency talks over Greece's bailout and the latest, last-minute proposals to stave off default from the Greek government. 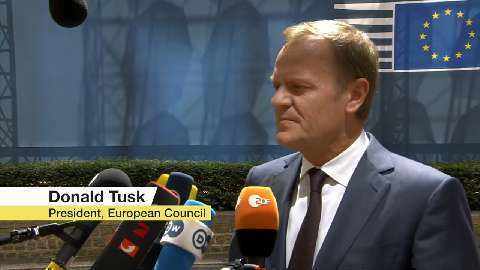 Greece has no more time for "gambling" and needs to decide on a cash-for-reforms deal, European Council President Donald Tusk said on Thursday (11 June), ahead of a crucial meeting of euro zone finance ministers in Luxembourg next week. 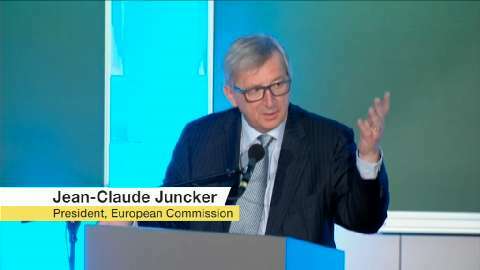 “Britain is not in a situation to impose its exclusive agenda (on) all the other member states of Europe,” European Commission President Jean-Claude Juncker said on Monday, only days before the UK holds a general election. 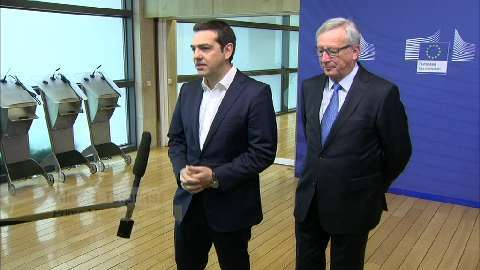 “That the Greek government does what best for the poor is not what shocks me. 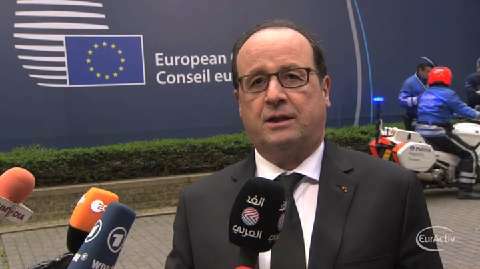 What we ask Greece is that it asks the richest to pay their taxes,” said French President François Hollande on his arrival at the EU Council Summit on Thursday. 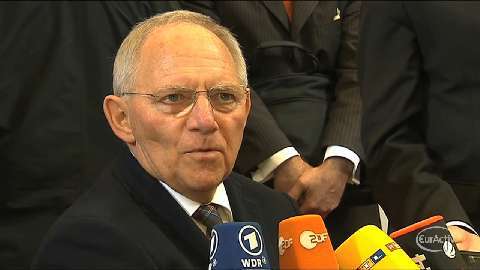 “When I first came here five years ago, Britain and Greece were virtually in the same boat. We had similar size budget deficits. 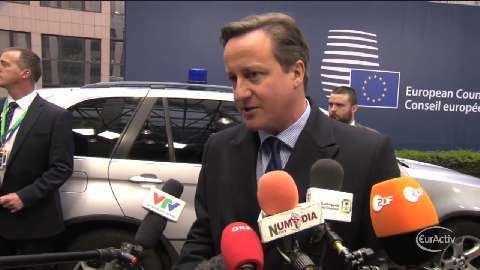 The reason we are in a different position is that we took long-term, difficult decisions,” said British Prime Minister David Cameron on his arrival at the EU Council Summit on Thursday. 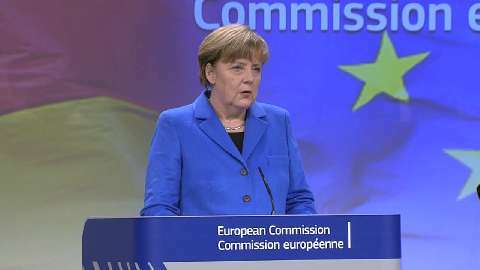 “Many of you will be attentive to the meeting on Greece. Don't expect a breakthrough today. 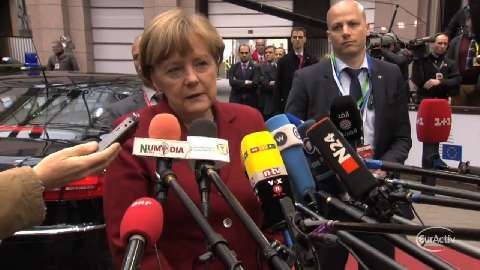 Decisions are for the Eurogroup,” said German Chancellor Angela Merkel on her arrival at the EU Council Summit on Thursday. 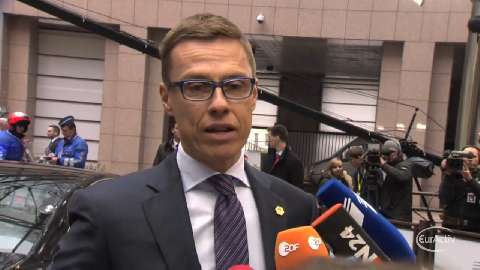 “The key here is to stay firm on the commitments that were made in the Eurogroup on the 20th of February,” said Finnish Prime Minister Alexander Stubb on his arrival at the EU Council Summit on Thursday. 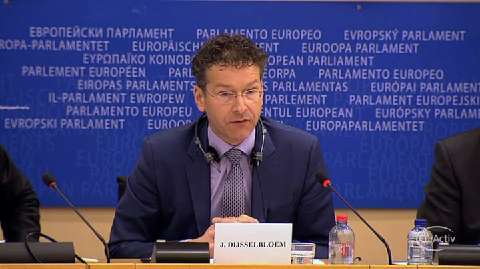 EU finance ministers met in Brussels on Monday to discuss the next steps following the decision to extend financial assistance to Greece by up to four months. 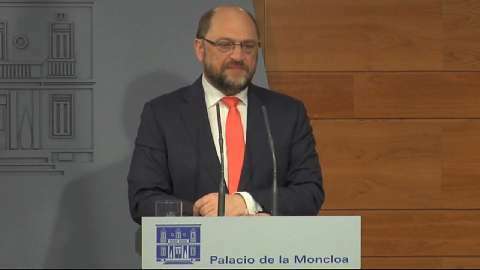 “We have to work together in a spirit of cooperation,” said European Parliament President Martin Schulz after Madrid and Athens had a war of words last week over Greece's extension of its bailout programme. 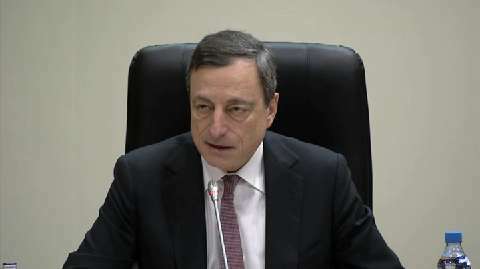 The European Central Bank will start buying government debt in its new quantitative easing programme on March 9, ECB chief Mario Draghi said on Thursday. 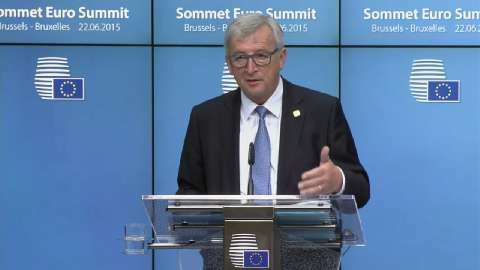 European Commission President Jean-Claude Juncker said on Wednesday that it is “premature” to discuss a third bailout programme for Greece and warned Athens “to avoid unilateral measures.” “We are going to focus on implementing what was agreed in the Eurogroup," he added. 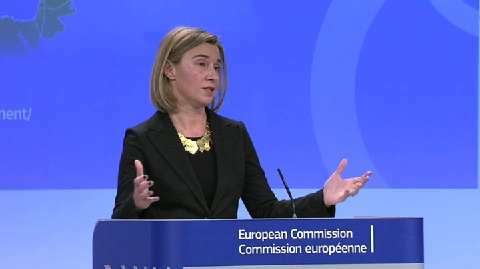 EU foreign affairs chief Federica Mogherini surprised many in the press room today, when she called 'Macedonia' the country that calls itself Macedonia. Eurozone finance ministers approved Greece's reform plan on Tuesday, paving the way for a four-month extension of the country's financial rescue program. 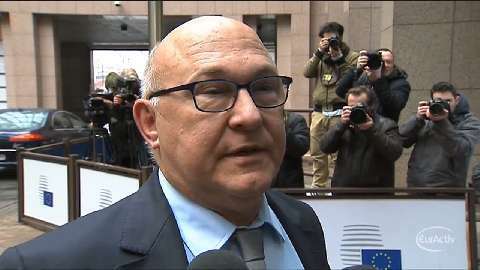 As eurozone finance ministers are holding emergency talks on the Greek crisis in Brussels on Friday, French Finance Minister Michel Sapin said the Greece's euro exit “is not an option”. 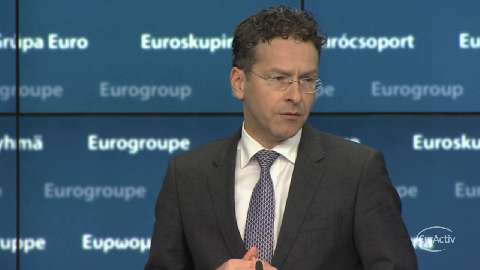 “The only option is to keep working for Greece to continue at ease inside the euro, and for the rest of the eurozone to continue at ease with Greece,” he added. 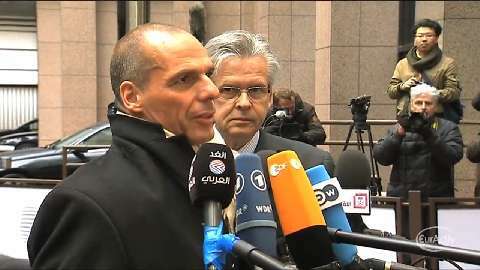 Greek Finance Minister Yanis Varoufakis said on Friday that he hopes “there's going to be an agreement”, as eurozone finance ministers meet in Brussels to discuss Greece’s request to extend access to eurozone bailout funds by six months. 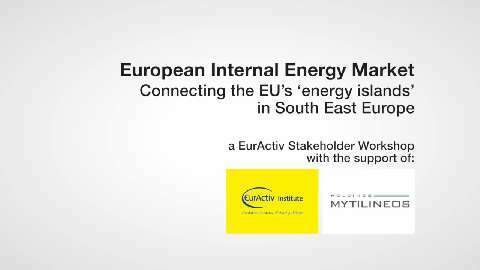 In an exclusive interview with EURACTIV Romania, EU Regional Policy Commissioner Corina Cre?u explained her views on the Greek crisis, emphasising that the EU executive will invest in "projects that will create jobs." 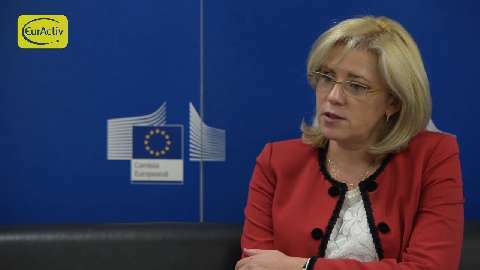 According to the Romanian Commissioner, EU funds "should go to those who are most vulnerable, people that are really in need". On Monday, Eurozone finance ministers failed to reach an agreement on how to proceed with Greece's bailout programme after it expires at the end of the month. 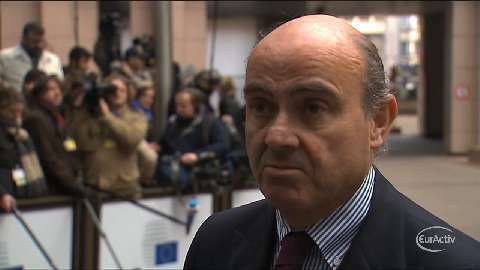 Spanish Finance Minister Luis De Guindos rejected Greek Prime Minister Alexis Tsipras’ claim that he saw Spanish leader Mariano Rajoy 'looking nervous' as EU Heads of State discussed the Greece crisis at an EU Council Summit last week. 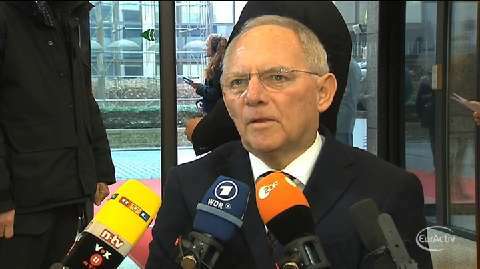 “I am very sceptical following all that has taken place during the last days because the Greek government doesn't seem to have moved at all,” German Finance Minister Wolfgang Schäuble said on Monday (16 February) ahead of a meeting of eurozone finance ministers.